Safety Precaution: Interlock on the seat between the legs. Handle on the chain itself. Recommended Group: Youth and Challenger. Operator Comments: This ride is called is a trademark for modern theme park for excitement and enjoyment. 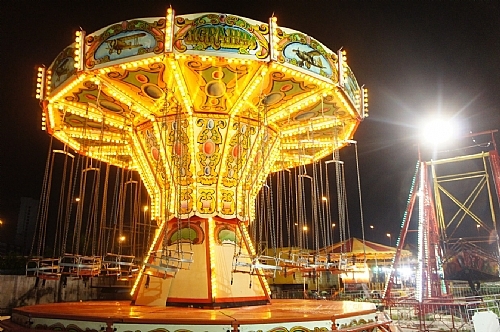 The Ride is born in Newcastle, England in 2008 and had been transferred to Malaysia in 2011. With the exterior English design and classic wind blowing piece of machine, it will allow you to fly without wing.